Mac's Book Club will discuss Arcadia by Lauren Groff on Wednesday, May 15th at 7:30 p.m.
With Arcadia, her first novel since her lauded debut, The Monsters of Templeton, Lauren Groff establishes herself not only as one of the most gifted young fiction writers at work today but also as one of our most accomplished literary artists. From the bestselling author of The Monsters of Templeton comes a lyrical and gripping story of a great American dream. In the fields of western New York State in the 1970s, a few dozen idealists set out to live off the land, founding what would become a commune centered on the grounds of a decaying mansion called Arcadia House. While Arcadia rises and falls, the commune's only child Bit also ages and changes. If he remains in love with the peaceful agrarian life in Arcadia and deeply attached to its residents, how can Bit become his own man? How will he make his way through life and the world outside of Arcadia where he must eventually live? This discussion is free and open to the public. Those wishing to get books signed will be asked to purchase at least one copy of Arcadia from Vroman's for every 3 books they bring from home. Save your Vroman's receipt; it will be checked when you enter the signing line. You know you’ve got something when your debut novel receives praise from Stephen King (and Terry Gilman!). King was a staunch supporter of Groff’s writing, her debut was shortlisted for the Orange Prize for New Writers, and Terry launched Ladies, Lunch, and Literacy with her debut, Monsters of Templeton. Groff’s began writing her latest novel, Arcadia, when she was pregnant with her first son. Groff states the first draft was much more dystopian than the final book, and credits her son with the change. With the arrival of a new baby, she wanted to end the novel with hope. As highly anticipated as her first book, Arcadia is filled with the beautifully compelling narrative that Groff’s fans love. Arcadia (Hyperion, $25.99) by Lauren Groff follows a romantic, rollicking, and tragic utopian dream from its hopeful start through its heyday and after. Arcadia’s inhabitants include Handy, the group’s charismatic leader; Abe, a master carpenter; Hannah, a baker and historian; and Abe and Hannah’s only child, the book’s protagonist, Bit, who is born soon after the commune is created. While Arcadia rises and falls, Bit, too, ages and changes. If he remains in love with the peaceful agrarian life in Arcadia and deeply attached to its residents—including Handy and Astrid’s lithe and deeply troubled daughter, Helle—how can Bit become his own man? How will he make his way through life and the world outside of Arcadia where he must eventually live? Lauren Groff signs Delicate Edible Birds: And Other Stories. 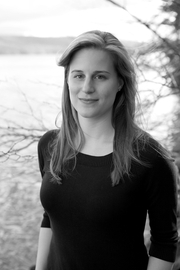 Lauren Groff reads from Delicate Edible Birds: And Other Stories. Lauren Groff's book Arcadia was available from LibraryThing Early Reviewers. Lauren Groff's book Monster's Corner was available from LibraryThing Early Reviewers. Lauren Groff is currently considered a "single author." If one or more works are by a distinct, homonymous authors, go ahead and split the author. Lauren Groff is composed of 4 names. You can examine and separate out names.